I was reading some of my news feed this morning and came across one from Seth Godin, an internationally know marketing consultant. His article, titled Naive or Professional? is a short, one page discussion of the difference between being naive about how you do your job or run your business and how you do it professionally. I read the article and sat there thinking about what Godin had put down on paper (in electrons?) and saw that what he said can be directly related to how we as pilots approach aviation. There are all sorts of alphabet groups discussing ways to reduce the general aviation accident rate and increase student starts (and completions). Take a look at that last sentence in Godin’s article. That is where we have to focus our efforts. 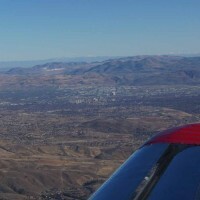 I attended another CFI workshop session but on by the FAASTeam in the Reno area. This workshop covered two modules, the Sport Pilot rules and the process of submitting certificate online known as IACRA. Both modules were good overviews of their subjects and we had some nice discussions among the attendees. There was a sparse turnout this night – probably because the weather here in Reno has finally turned good enough to fly. We’ve had a terrible Spring so far – lots of clouds, cold temperatures and wind. I believe one of the ski hills is still in operation – now mid-June. As usual, the really interesting part of the evening came at the conclusion of the formal presentation when the three DPE’s (Designated Pilot Examiner) in attendance told us about the ‘problem areas’ that they have seen on check rides since the last workshop. Eye-opening once again. One area – not teaching students to handle anything other than a total engine failure. Huh? 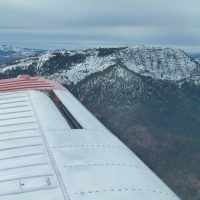 Yes, it’s nice to put some emphasis on what to do if the engine quits – establish that maximum glide, look for a landing site and then, if you have time, troubleshoot the problem. But what if that’s not the problem? What if the examiner says “You have black smoke and orange flames coming out of the cowling.” Some, but not all, students remembered to turn off the fuel. But then the vast majority followed up with – establish that maximum glide, look for a landing site and then, if you have time, troubleshoot the problem. Sound familiar? Dude! Why are you not pointing the airplane directly at the ground and putting it anywhere on terra firma before the fire burns through the firewall – or an engine mount? Not even a hint from the examiner like “Gee, the floor seems to be getting hot” made a difference. There are probably a dozen or so emergency procedures in the manufacturer-supplied operating manual. Your student should be intimately familiar with every one of them. Face it – it may be the only time they are and they need to know that those procedures exist and how they work. While we’re on the topic of finding that landing spot – What happened to the concept of energy management? One of the DPE’s gave a student the engine failure virtually abeam a runway – at altitude – and the student missed the 6000′ runway completely. After lots and lots of maneuvering he arrived over the numbers at 1000′. Another at a different airport did a little better – he missed a 4000′ runway. Sounds like these students were being taught to the ROTE level – unable to analyze the situation, adapt procedures to existing conditions and make corrections to ensure a successful outcome. The DPEs also had a few failures before they even got into the airplane – just on the preflight alone. They attributed it to the instructor telling the student to go out and get the preflight done, he, she would meet them at the plane in a few minutes. The examiner asked the student random questions during the preflight about what they were looking at and why – simple enough, right? Many could not identify what a particular antenna did. One thought the aileron counterweights were metal stiffeners. And another identified the nosewheel shimmy dampener as part of the hydraulic system that controlled the nosewheel brakes. I really don’t understand all this. Did the instructors for these students just not care what they were teaching their students – or did they not even know the material themselves? Yes, students will usually be pretty nervous for their check ride but the examiner will take that into account. These examples weren’t due to nerves – they were a lack of knowledge and ability. There’s always an argument about the cost of learning to fly – these students were not getting what they paid for – and that’s the problem with the cost of learning to fly. Quality is not expensive – crap for the same price is. While I was on the treadmill this morning I listened to a couple of the podcasts in my subscription list. 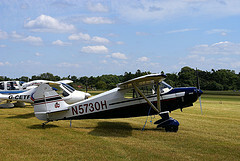 One had a discussion about the utility of getting a tailwheel endorsement. The bottom line was that, if you can find some way to do it you should – it will make you a better pilot. Why? 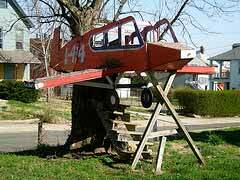 Some of you who frequent this site probably know that I retired from professional flying last month. I was an airline pilot for 22 years, most of it spent flying international routes. But was I really a pilot? No, not really. It took lots of flying experience to get the job, but the job itself required very little flying. Most airline pilots these days – especially the ones flying international routes- is far more a systems operator sand crew managers than hands-on-the-controls pilots. On a 12-hour flight the pilot might manipulate the controls for two hours – including taxi time. Some pilots will hand-fly the plane from applying take-off power until 10,000 feet while others will engage the autopilot at 300′ on take-off. Some airports require the autopilot to be engaged in order to guarantee a specific sound-reducing ground track. 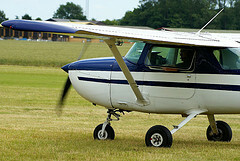 On arrival most pilots will wait until the aircraft is in the final landing configuration before taking over manually. Others will wait until 500′ agl to take over. Now more and more of our general aviation aircraft are being manufactured with glass panels with integrated GPS navigation and autopilots. Add to that the ease of landing and ground maneuvering associated with the nosewheel configuration and you have a perfect breeding ground for systems operators. Most of us fly less than 100 hours a year in our general aviation aircraft – that’s almost 2 hours a week all year long. The general aviation accident rate – and the types of accidents we are having indicates that we are trending toward being systems operators rather than pilots. You don’t increase your skills (or even maintain them) by pulling the plane out every couple of weeks, programming it, driving it to the end of the runway and then watching the autopilot take you to your destination. 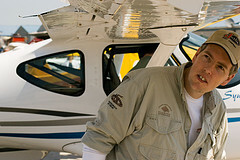 We, as a pilot group, need to spend more of our time flying and less time programming. On the surface all the fancy new glass panels, GPS navigation and integrated autopilots are great safety improvements – but the person in command has to be a pilot with real piloting skills. 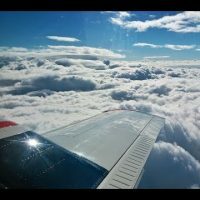 In my opinion the best glass panel on the market is the clear one above the instrument panel that lets you look outside and see what the plane is really doing – and it leaves you enough brain computing power to actually feel the plane move around you. Try it – you’ll really like it. "Learn from the mistakes of others. You will not live long enough to make all of them yourself."